Ok, I realize that today is Monday and not Thursday. Just consider this a “Special Addition” Thankful Thursday. Today, I am thankful for people who inspire me. We all need people in our lives that cheer us on and celebrate our victories with us. I am blessed to have those people on my life. We also need to have those people in our lives that let go, jump in, and follow their dreams. I also am blessed that I have those people in my life. Today, I would like to tell you a little bit about two of them. My little sister, Debbie, has a very strong sense of who she is and just as important, who she is not. She lives in a small town in Texas close to Dallas. She raises chickens, repairs antique quilts, restores antique sewing machines, gardens organically, has a grey water system to water her garden, and uses a solar oven to cook in during the summer. She absolutely refuses to be put into any kind of box, and if you ask her about herself, she’ll tell you she’s “living hippie proud”. In my former life, when I was a staunch adherent of rigid box living, I never really understood her much. How could anyone possibly be happy without a box to live in? She confused me. She sometimes embarrassed me. And she provoked me to jealousy. I didn’t understand how, but I knew she was way happier than I was. As I began to emerge from my box (or at least poke my head out the top), she began to inspire me. To try things like making homemade soap, which was kind of fun, and homemade cheese, which was so awesome that I have a friend making me a cheese press so I can start making cheddar cheese which is my all time favorite. She helped to jumpstart my journey to a simpler lifestyle, and introduced me to the road less traveled. Several years ago, she quit her “real job” to stay home and raise her kids. She home schooled and made quilts and took on sewing projects to make some extra money. She and her husband Chris taught the kids to live outside the box and follow their hearts. Their son is now working his dream job at a gaming company inSeattleand his wife just finished culinary school. Their daughter is studying marine biology at A&M Galveston and loving life. Now with the kids well on their way, Chris has decided it’s time to follow his dream. He has always loved skateboarding. Probably since before it was cool. Any spare time he has, he’s at the skate park. So he and Debbie have decided to open their own skate board shop. 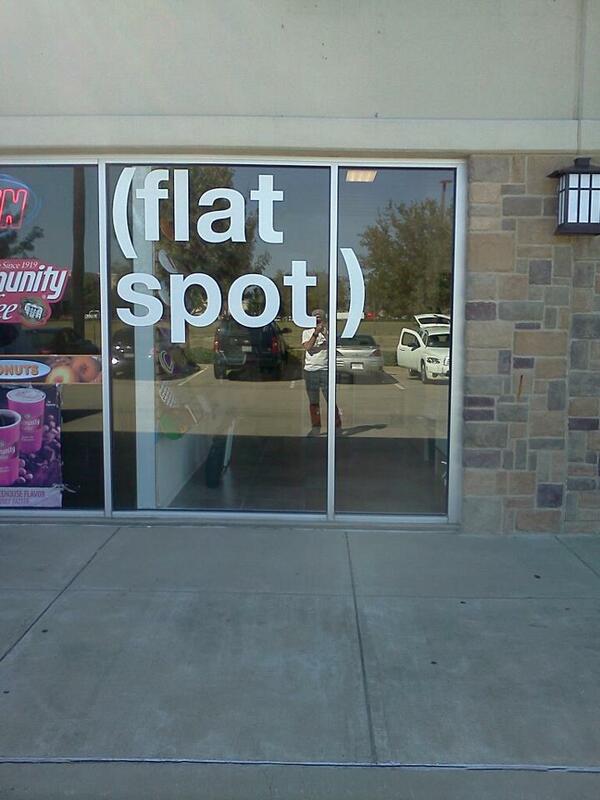 Flatspot Boardshop, 8901 Virginia Pkwy, Suite 500, McKinney, Texas. Their Grand Opening is today. There will be give-aways, awesome deals, and a fun time will be had by all. So, to Deb and Chris: You are both an inspiration to me, and I am proud to call you family! So, if any of you happen to be in the Dallas area today, even if it’s out of your way, why not swing by and support the dream and the dreamers. You’ll be happy you did. And tell them Cery sent you. I have decided that I am going to make Thankful Thursday a weekly feature on my blog. I much prefer to think about the good things in life, and not focus on the other. To that end, I even designed a little logo for Thursdays. Kinds cheesey, huh? But it will do for now. So, to kick off the new feature, here is what I am thankful for today: (insert drum roll) Life at Bear Creek Farm is now a dot com! I purchased the domain name and now it’s a website, not just a blog. Over the coming months I will be adding more features until it becomes a fully functional website! I am really excited about this first step. Stay tuned for future developments! What are you thankful for today? Share with us by adding a comment. It is good to be a child of the Most High God! My heart was glad within me when He said, “Come, sit with Me a while and share My thoughts”. My delight is in the Lord and the Light of His countenance! Come and sup with me, My Lord, and tell me of the mysteries of Your Love. Show me the secrets of Your High Place that I might know Your heart. Let me soar with You across the endless skies and delight with You in the deepest oceans. For Your love is vast beyond imagining, and Your thoughts towards me out number all the starry host of the night skies. Speak with me in the secret places of my heart and guide my steps with Your wisdom. Flow through me all the days of my life that I would bring blessing and honor to Your Name. Oh yes, my soul, it is good to be a child of the Most High!